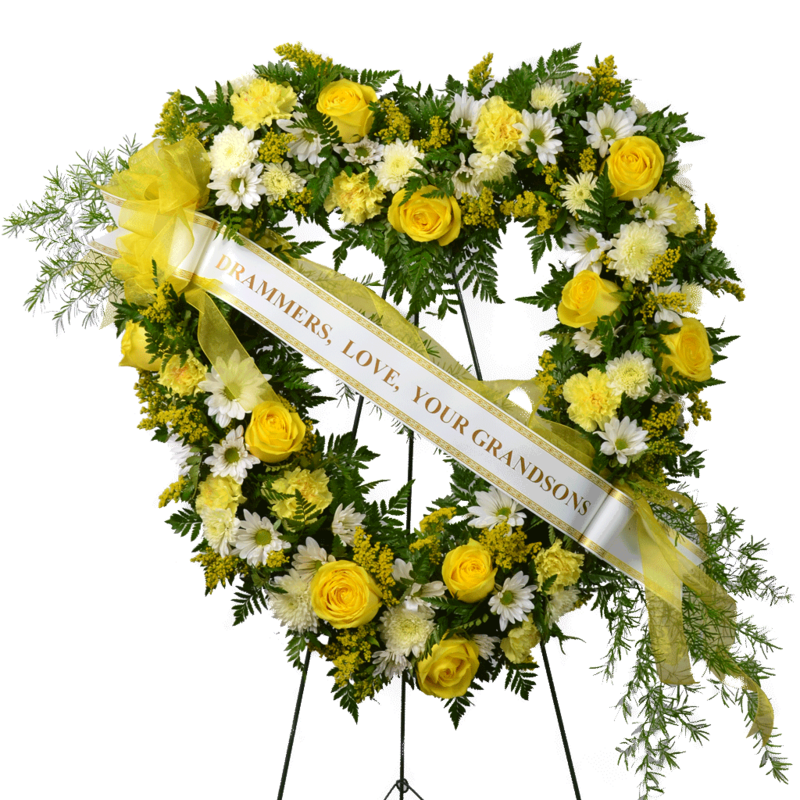 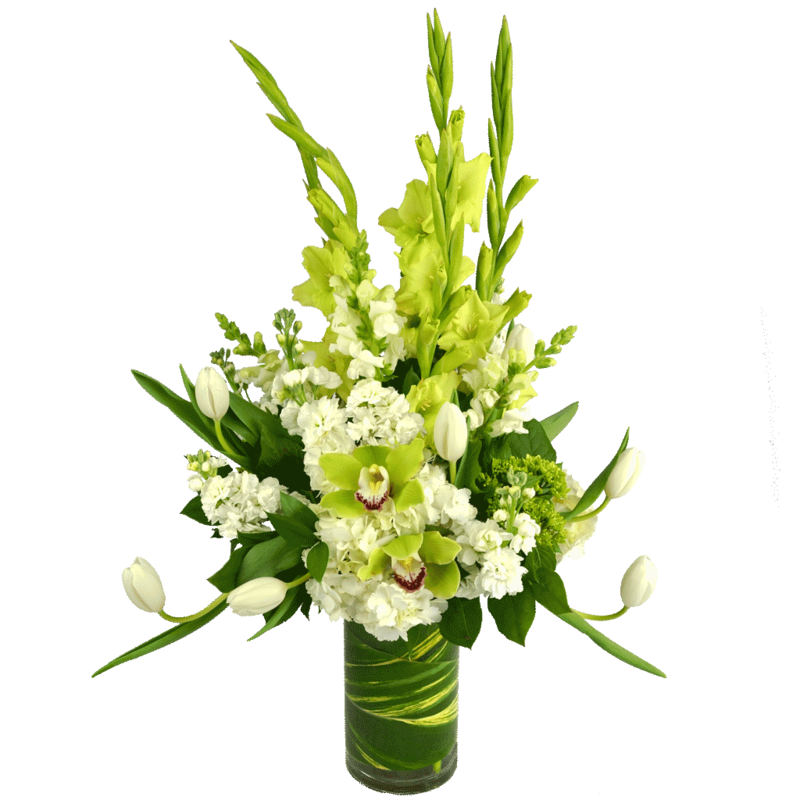 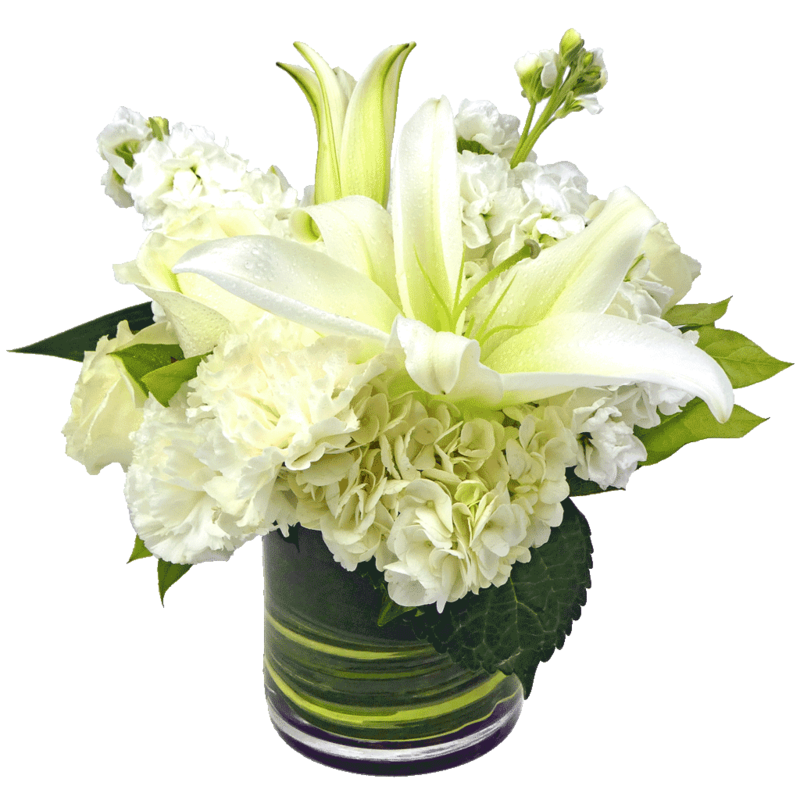 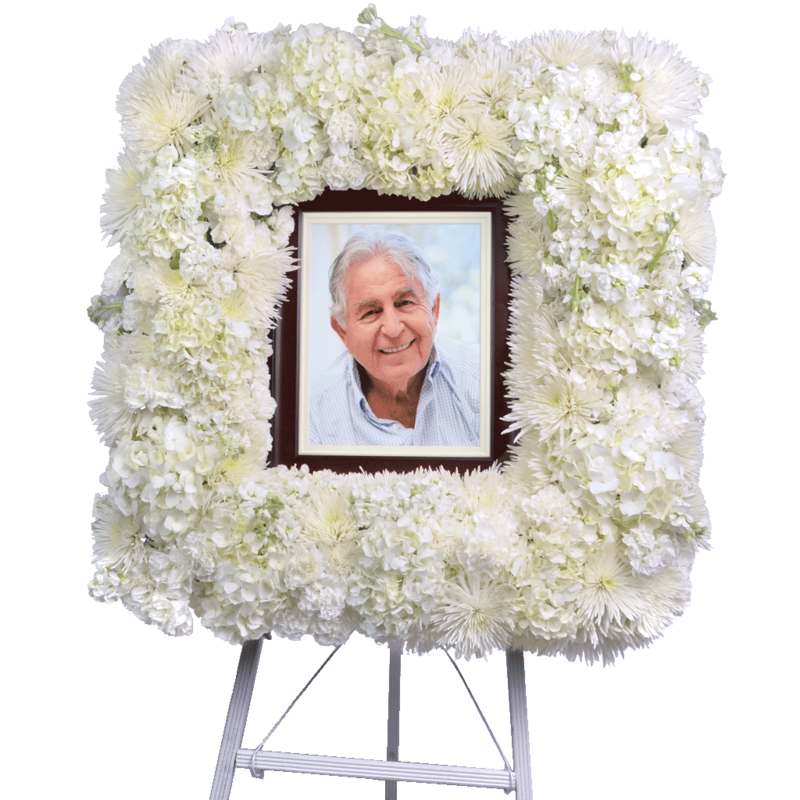 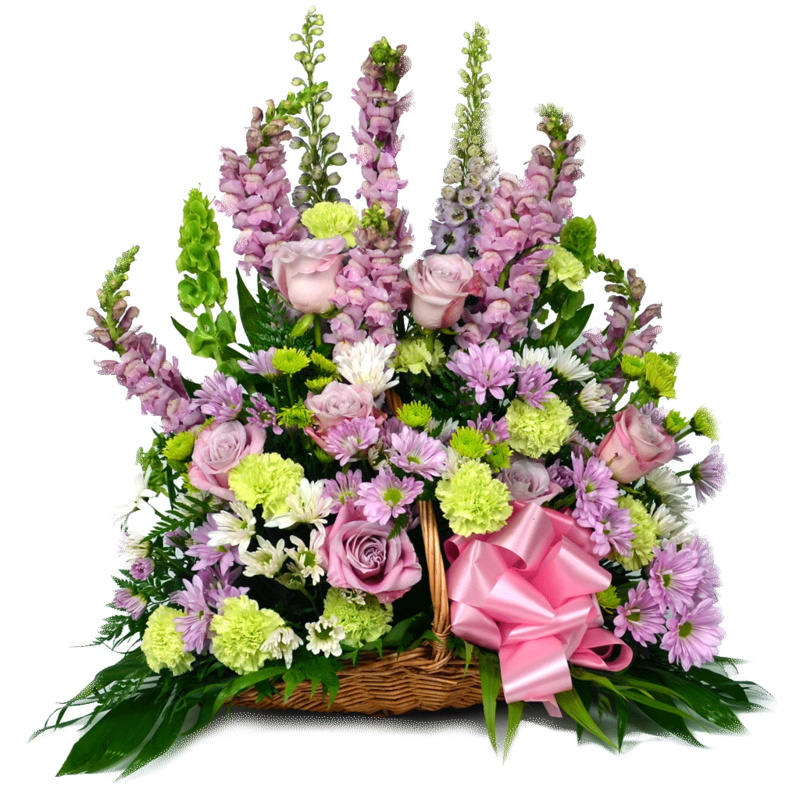 Our exclusive arrangement provides a warm sense of serenity to those who are grieving. 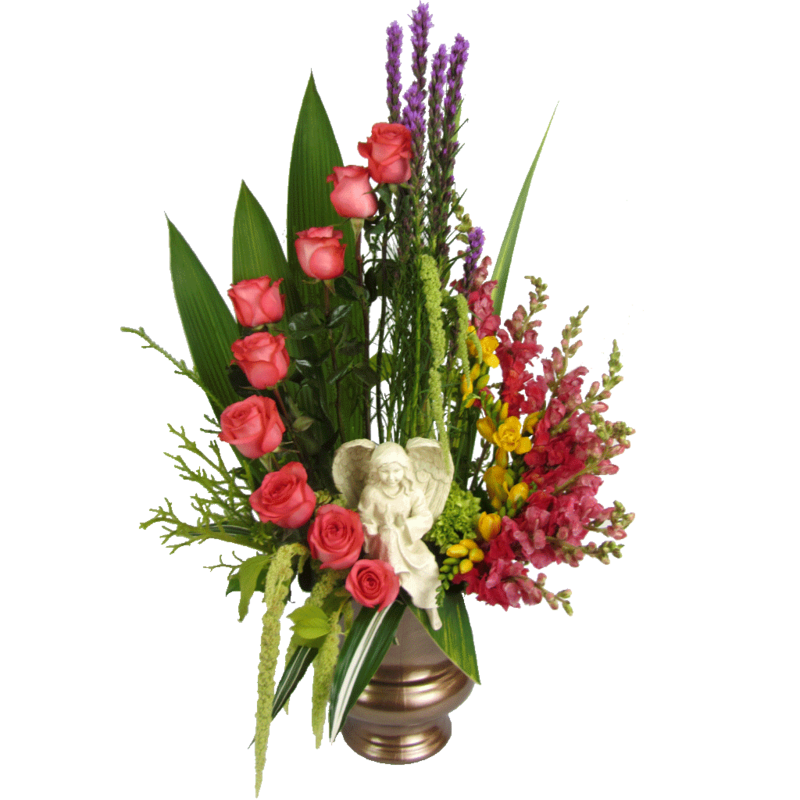 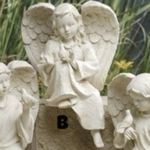 Roses, freesia, snapdragons, and liatrice surround an inspirational Cherub Angel peacefully sitting with a dove perched on her hand. 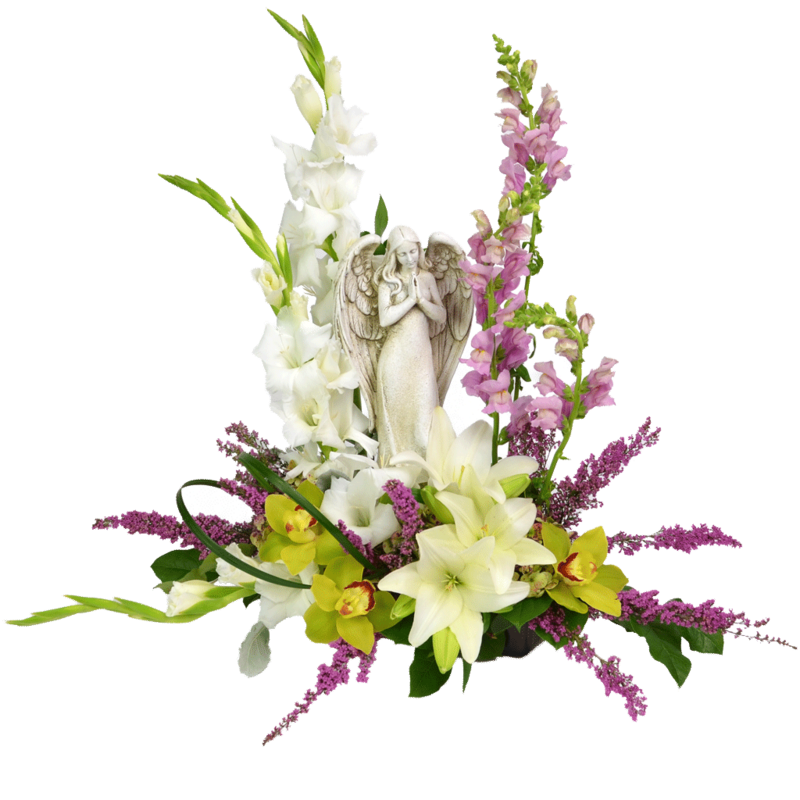 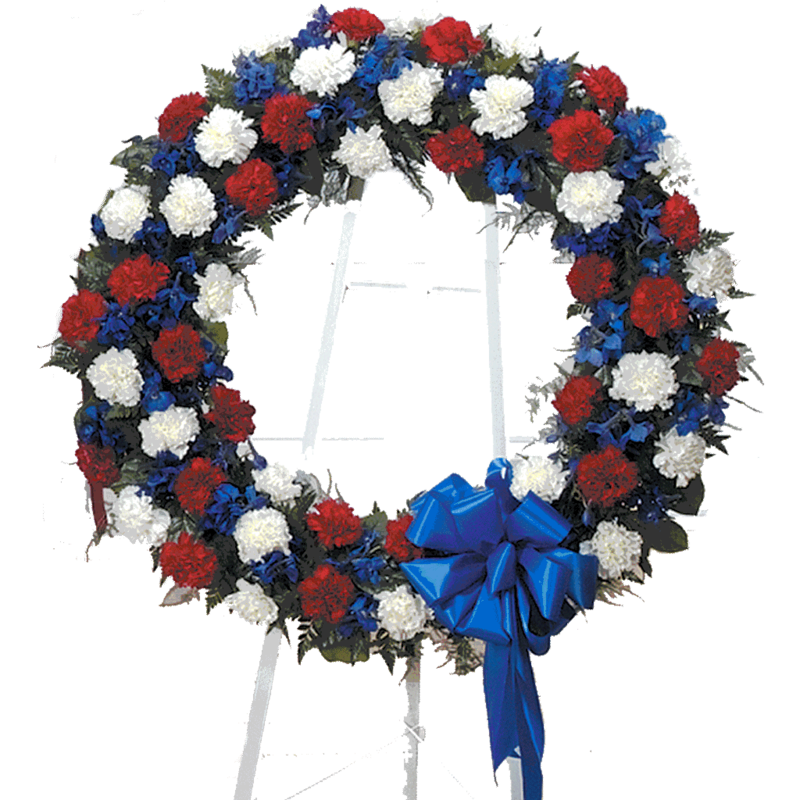 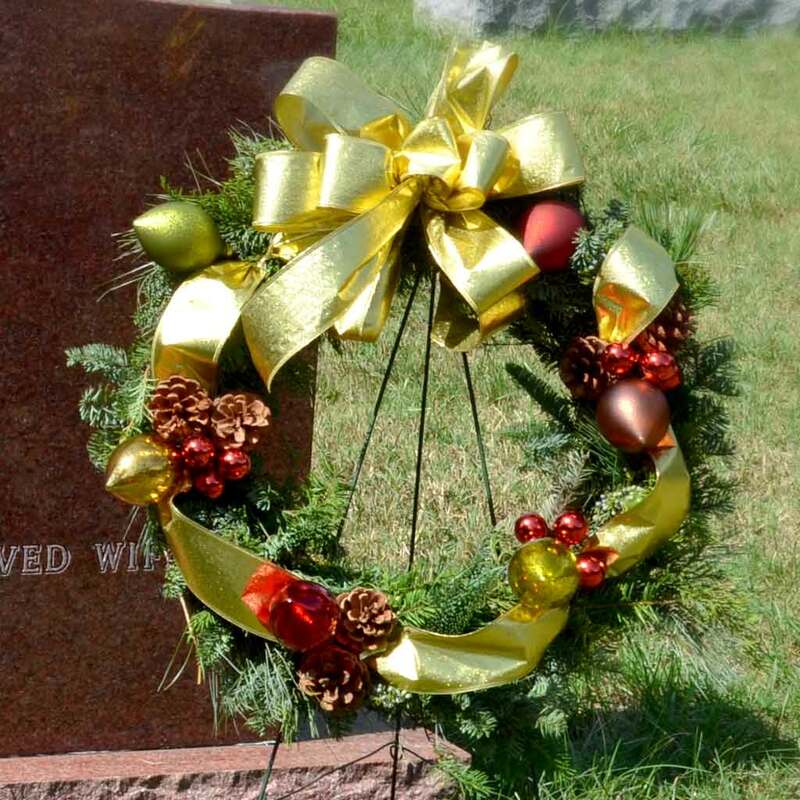 This floral arrangement presents a truly exquisite way to honor the life of the deceased. 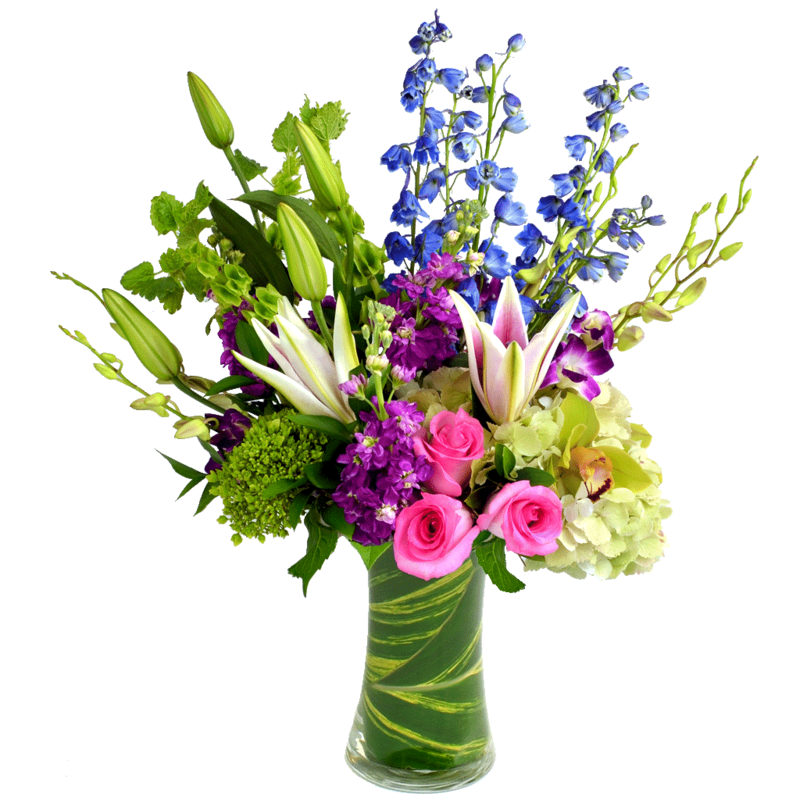 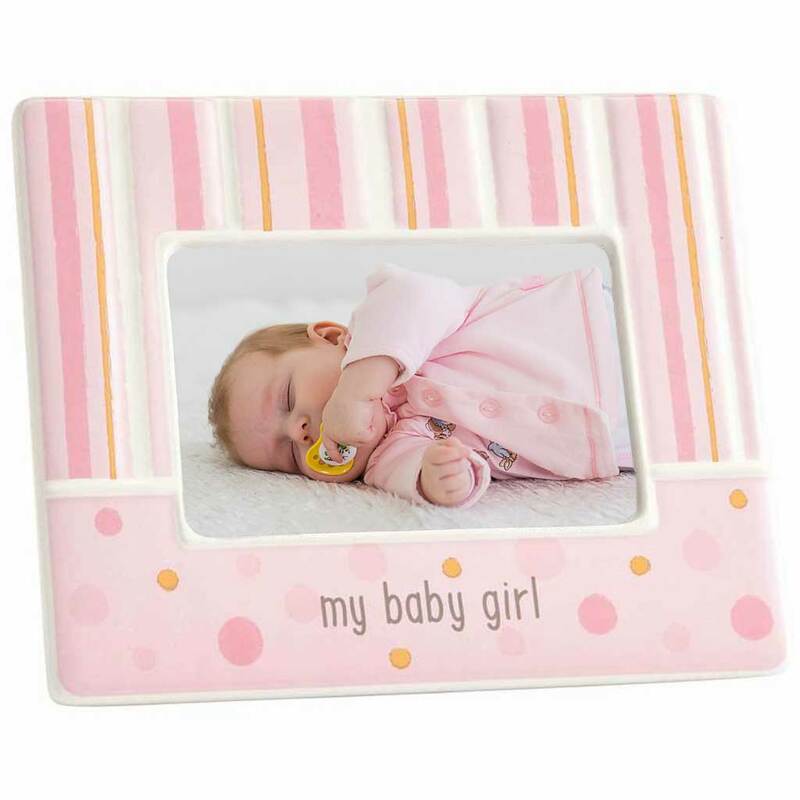 Add your personalized banner message at checkout.